Perfect sea view is there to welcome you at the Andaman Beach Suites Hotel. 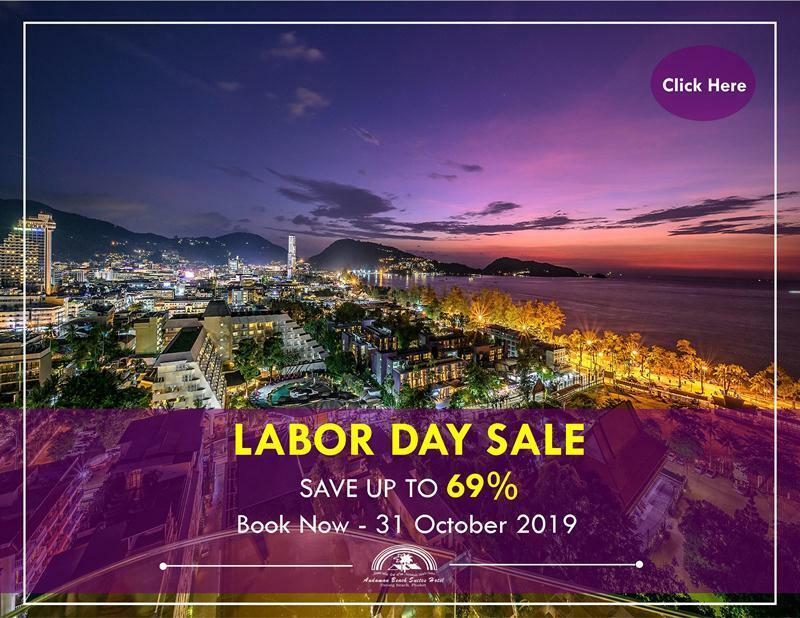 One of a few high-rise building on Phuket’s Patong Beach, the Andaman Beach Suites Hotel invites you to enjoy a panoramic vista of lush green hill-slopes, sparkling blue sea and shimmering white sand. Be spoiled a variety of shops, restaurants, bars and spa centres, then hit the oceanfront and beachside promenade for some well-deserved relaxation. Whatever your choice may be, the Andaman Beach Suites Hotel is confident that each will be a pleasant and enjoyable one during your stay with us. The Andaman Beach Suites Hotel, with 140 guest rooms are provided in two buildings. 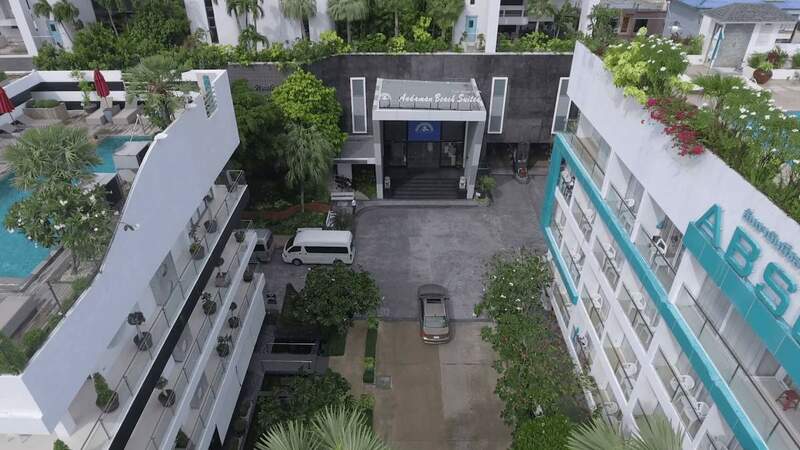 A small low rise 5 storey building is a few metres from the main entrance and reception area. 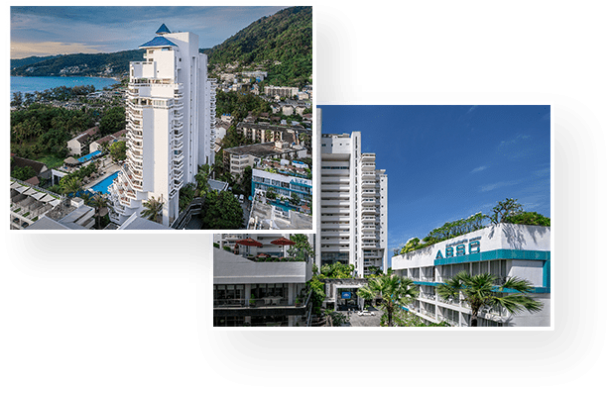 The main building is comprised of 21 floors with all rooms providing panoramic sea views over Patong Beach. Room sizes, among the largest in Patong, range from a minimum of 40 sq metres up to 120 sq metres for two bedroom family suites. Sign-up to our monthly newsletter to receive the best deals!